There’s been a lot of talk about police reform and a police code of silence since video footage surfaced showing the 2014 police shooting of Laquan McDonald. In the wake of that video, the city’s Independent Police Review Authority was ultimately deemed inadequate and ineffective. In its place emerged a new police watchdog agency with more funding and staff: the Civilian Office of Police Accountability, or COPA. Advocates for reform hope COPA and a recently approved federal consent decree will usher in more police accountability and police reforms. But will it? “I believe that there is a code of silence within the police department, but frankly I believe that there’s a code of silence within every profession,” said Roberts, who previously held several positions in law enforcement and administrative oversight. 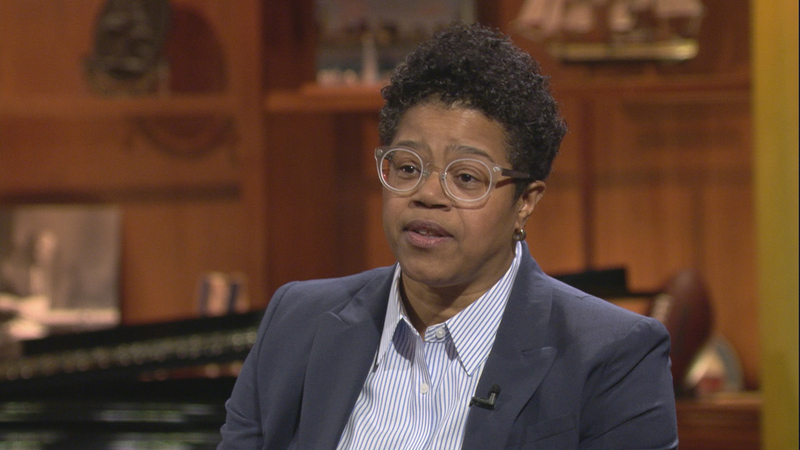 “And frankly, it enables the city of Chicago to remain committed to working in good faith to bring about true police reform,” she added. Still, some advocates of the consent decree worry the legal document is toothless without a police union contract that backs it up. The city and Fraternal Order of Police are currently negotiating a contract for the city’s largest union of police officers. Below, additional highlights from our conversation with Roberts. “It’s been a very exciting experience. One of the things that made me most interested about taking on this position was the ability to serve to improve policing and to work on behalf of the citizens of Chicago and I can honestly say at this point I am truly privileged to serve in this capacity. “I was the third chief administrator within eight months. I had to hit the ground running and continue the momentum of building trust with the community. I was thrust right in the middle of budget season.